Iran is a nation-state that is descended from the Persian empire of Biblical times. In those days, more than 2000 years ago, kings like Nebuchadnezzar and Darius conquered lands as far as the Levant, in the historic home of the Jews. Wikipedia has that "Iran reached the pinnacle of its power during the Achaemenid Empire founded by Cyrus the Great in 550 BCE, which at its greatest extent comprised major portions of the ancient world, stretching from the Indus Valley in the east, to ... the northeastern border of Greece, making it the largest empire the world had yet seen." To cut a long history short, over the centuries, this civilization has seen ignoble defeats in war and also the self-inflicted malaise of incompetent civil administration. In fact, in this course, we learn that a state's achievement in war and in administration are closely linked in a mutually reinforcing, or mutually eroding, cycle. So for Iran, times have changed. Their landmass is greatly diminished. They boast impressive ruins, ancient architecture and ancient feats in technology and the arts, but are not today first or best in anything. How does a people so aware of their majestic history handle such a discrepancy between their great expectations of themselves and their mediocre reality? If they could do it before, why are they not doing it again? In the 19th century, Iran was under the rule of the Qajar dynasty, and by the early 20th century, this largely incompetent rulership had for "neighbours" the clever Russian and British empires. Iran was losing badly - not just land, but even the labour of the people, the wealth of the remaining territory, was committed to servitude and debt payments. The British, and later, American meddlers were of course not their traditional rivals - say Ottoman, Arab, or their conquered minority tribes. Modernity in the 19th and early 20th century meant that a country that lay oceans away could 1. have commercial or martial interests in your own country and 2. actually cross barriers in communication and transport to realize its aims. That is, to say, in the 19th and early 20th centuries, the challenge of modernity came to many of our territories in the form of European colonialism. Modernity does not have an easy definition. Wikipedia employs these subheadings in the attempt to define it: politically, sociologically, culturally and philosophically, secularization, scientifically, artistically! The explanations then focus on the use of reason and loss of "God" concept, and the incidence of a prescribed set of institutions in government and economics. Basically this verbosity exposes the term as a weak one. Being centered on the experience of those who use it, its meaning may change from one place to another and from one decade to the next. 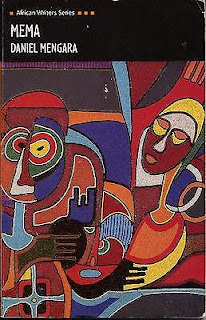 In fact, the discussion forum for this course has featured some debate or complaint over the use of the word "modern, not modern, or modernity." Still, it is a reasonably useful term because I know what it means, you likely do too: it relates to things of the new age that are not things of the times past. It relates to things from the bringers of new things (USA, say) and not things we have known for generations (the customs of my people, say.) I think it is easy to get annoyed with the term if one does not identify with the European dominant culture that defines it. This may be the case for Iran, as it is often the case for Africans, Muslims, Texans, and others who are beset and besieged by this new dominant power. In this course, we learned that there are four idealized responses to modernity that have been adopted in the Muslim world, and that they are Secularism and emulation, religious Reformism, traditionalism, and fundamentalism. Turkey has tried to jettison its own culture to chase after the West. It changed its writing and dress, abandoned its religion, adopted new laws, bureaucracies, and secular rationalism. Today, it has a strong economy alongside a nagging feeling among citizens that it should "be itself" sometimes. Who knows if the Europeans will ever admit Turkey into their club - the EU - or if Turkey will stop caring? Iran had its phase of emulation, when the royals enjoyed foreign travel and racked up debts to finance it. Perversely, they even "emulated" the tactics of their tormentors in 1951 by nationalizing (claiming their rights to) their own oil. Egypt, like Turkey and Iran, has a grand ancient history. It has had a Western-backed secular leadership over a largely religious population, with a constitution that was nominally Islamic but allowed reform and interpretation to suit the modern elite. Today it's in the midst of a bloody struggle and for six months has been ruled by the military. The people of the Gulf, in Saudi, Kuwait, Oman, Yemen, Dubai, Abu Dhabi, and so on, may not have had great civilizations, but they are proud of their fiercely independent history in the desert. So far, they trade with the West - oil for modern goods - but have not adopted its laws. Will they need to change from their traditionalism to Western laws and bureaucracy to manage modernity, defined here as close contact with the rest of the world and its objects and ideas? I believe that process has already begun, as they purchase state-of-the-art education and financial centers. Iran too is no slouch technologically (two words: nuclear weapons) but how quaintly Islamic its constitution is! It permits a bureaucracy to function, but at all times inferior to and checked by the ayatollah. I can't imagine how, except through fear and force, the Iranians have maintained this government for more than 30 years. The Iranians I've met are barely Islamic in lifestyle, so why do they accept the authority of a purported voice (sign) of God? 5. My experience in Western, Muslim, and other countries. 6. Aljazeera.com and Al-Jazeera TV. In the preceding weeks, you have been presented with one country or sub-region that embodies each of these response patterns. But do remember that these models are ideal types, that is that we can generally see elements of all four simultaneously at play in any given society. Iran, that you have just learned about in this week, is a good example of this general fact: we can find elements of all four models of adaptations throughout its modern history. What is special about modernity and which challenges does it generally pose to traditional societies? Which challenges did Iran face from the 19th century onwards and what had these to do with modernity? Which elements of the first three response patterns can you make out in modern Iranian history, and what accounts, in your view, for the ultimate success of the fourth in the shape of the victorious Islamic Revolution? 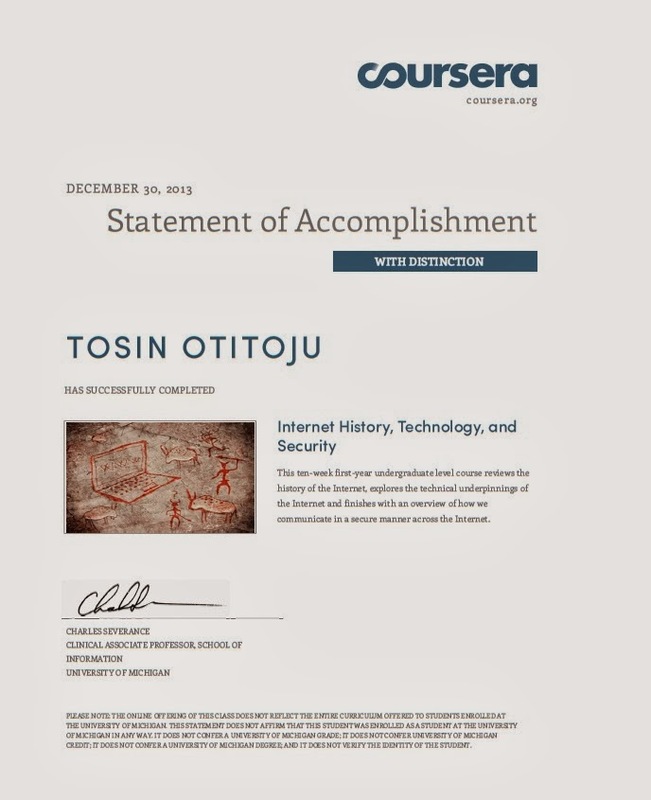 According to the material in this course, it has been about twenty years since the internet was founded. The internet and world wide web seem to have changed EVERYTHING since then. We buy and sell online. We meet friends and get news online. We work in many cases by getting on the internet. Then we play on the internet too. Could this technology get any more pervasive? Will the internet of 2033 be much different from the web today? The interfaces will be different, I think. Today, many internet users don't connect through clunky teletype machines, large computers, or even small laptops, but through little, brittle smartphones. I remember just five years ago working with a colleague who was developing a touchscreen and about ten years ago the research news pieces on haptic - touch-based - interfaces. In the next five, ten, years, users will communicate their intent to the computer world without needing to use a keyboard. They will wear their interfaces - in their gloves, for instance, or implanted in their heads to sense neural signals. They will wear their interfaces as glasses, as in Google Glass and all the knock-offs and pirated versions that will develop. The uses will be different, more democratized. The elite first users came up with elite uses for the internet: research, geeky games, stock-market trading, bookselling. The masses will come up with different uses. I can imagine hysteria about the illuminati and the end of the world. Incomprehensible doodling all day - already the users of the internet have degenerated from theses and paragraphs and correct spelling to " sup, aw u 2day gr8 tym i no der is." Ah well, now they'll just scribble a line straight from their brains onto the doodoo wall. On the other hand, the potential for craftspeople in the middle-of-nowhere to reach their markets in New York, or for a design from a teenager in Hawaii to be adopted by a multibillion yen company in Tokyo will remain, and will grow dramatically. Because location will become less important, the world will seem even more to be one uniform place. Today we have multinational brands in Dubai, Paris, Johannesburg, Mumbai - the same hotel names, the same clothing lines, same sandwich shops. By 2033, it will be sickening just how the same every city is. It will take effort to find a place with character. Maybe by this time, people will have so much material things that they'll finally stop chasing after material things. Local, and by this I mean national governments will work hard to get their people some time off the internet to create local relationships, national cohesion and culture outside the global internet. Please marry, they will say. Please exercise. In a few years, the most modern governments will finally cut down the workweek to four, then three days to encourage such perceived greater goods as the workplace efficiency being too high will produce more unemployment, more unhappiness, and - unless someone can come up with a large project to mop up human effort - more utterly useless goods. What sort of project might that be, the modern day great pyramids, like industrial automation in the 20th century or business-process automation in the last twenty years? Would it be a space-travel, space-energy and stardrives program or a down-to-earth training/indoctrination/acculturation program utilizing software to help us learn everything from programming and kung-fu to languages and pottery? Would it be a program to end death as we know it or a program of mass aggression? Ha, I can't tell you that. I don't exactly have a crystal ball. The reference thing is irrelevant to this essay because I read a lot a lot a lot, so how can I say the ideas came from these two to five places? Write an essay that imagines how the Internet will be different 20 years from now. Justify your answer by connecting your ideas to the history of the Internet that we have learned in this class and through outside materials. Your answer can focus on how technology will change or how people will change or how governments and policy will change or even how society might change. Please enter your references here. Only use this space for references (i.e. don't continue your essay in this space). There is no specific citation format. While there is no minimum nor maximum required references, most essays will have somewhere between two and five references. If your references are web sites use the URL. If the references are papers include enough information to identify the source using APA http://owl.english.purdue.edu/owl/resource/560/01/ format. Graders will not take points off for syntax errors in references, but they are welcome to suggest how the syntax of references can be improved.